Below is our thorough response regarding the proposed amendments to NEPA. We would like to give a special thank you to Noemi Lujan Perez, VP of Government and Media Relations, ECO Diversity Media, for drawing our attention to this issue as the environment is a pertinent, but often overlooked, feature of the housing industry, as well as for her assistance in writing our response with her expert knowledge of the field. 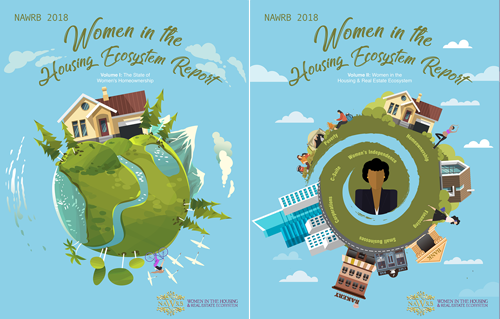 This letter contains Women in the Housing & Real Estate Ecosystem’s (NAWRB) comments on the National Environmental Policy Act (NEPA), Forest Service, USDA, Advance Notice of Proposed Rulemaking (ANPR) and request for comment published on January 3, 2018. 83 Fed. Reg. 302. 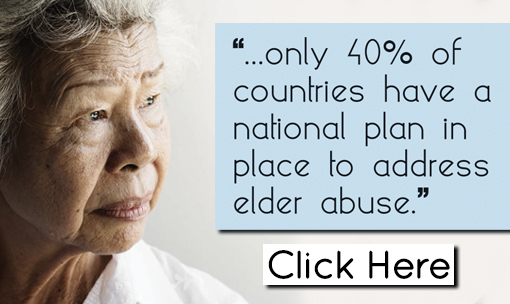 Created in 2010, NAWRB is a leading voice for women in the housing ecosystem. NAWRB is dedicated to providing women the tools and opportunities for economic growth and expansion, while advocating and promoting women-owned businesses. 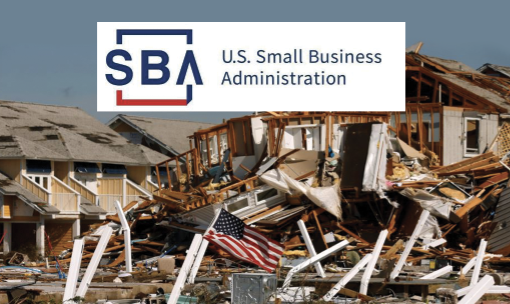 NAWRB is the only third-party industry-specific certifier of Women-Owned Businesses (WOB) and Minority Women-Owned Businesses (MWOB) in the housing economy. NAWRB provides a unique platform for uniting Women in Housing and Women in Government including educational training on contracting opportunities both government and private, to expand our members’ business growth. 4. Ways the Agency might expand and enhance coordination of environmental review and authorization decisions with other Federal agencies, as well as State, Tribal, or local environmental reviews. A. NAWRB’s Interest in Efficient NEPA Environmental Analysis NAWRB members are active collaborating partners with green and sustainable corporations, brands, and engaged in the housing ecosystem. B. General Comments The NEPA process as conducted by the Forest Service and other federal agencies would benefit from change to be more efficient and timely to meet NEPA’s objective of facilitating reasonably informed decision making regarding proposed federal agency actions with significant environmental effects. There are numerous ways that the Forest Service can revise its current NEPA regulations codified at 36 C.F.R. Part 220 and related Forest Service Manual and Handbook NEPA provisions to achieve this goal. Changes to the Council on Environmental Quality (CEQ) regulations codified at 40 C.F.R. §§ 1500-1508 and the regulations of other federal agencies who are involved with national forest programs and projects will also help procedures more efficiently, and are hopefully underway, but the Forest Service need not await such changes to update its own regulations. In revising its NEPA regulations, the Forest Service should also address NFMA forest plan revision, amendment, consistency, and resource requirements. Further changes to the Forest Service planning regulations at 36 C.F.R. Part 219 and objection process regulations at 36 C.F.R. Part 212 may be needed to fully implement the NEPA and related process efficiency improvements that are needed. 5) Increased use of categorical exclusions (CEs) from NEPA where appropriate. NAWRB members’ experience reflects that the processing of applications for leases, permits, and other Forest Service authorizations is often delayed because it and other federal licensing or regulatory agencies participate in the NEPA and related permitting processes sequentially rather than simultaneously. Moreover, there is usually not an overall schedule, with enforceable timelines for deliverables from the agencies, that is adopted, or accountability for missing due dates in a project schedule. In addition, some project opponents seek to delay projects through appeals that lack merit. All of these problems can be remedied or alleviated through updated regulations and other administrative actions. Finally, special attention should be focused on providing CEs for forest and watershed health projects designed to improve water flow and quality, and to implement measures that prevent or reduce the risk of destructive forest fires or insect and disease infestations, or that rehabilitate burned or infested areas. • EISs should be reserved for analysis of proposed actions that are expected to result in significant environmental impacts. 2. Consultation regarding effects on historic properties and cultural resources under the National Historic Preservation Act (“NHPA”) and other protocols should be coordinated with the NEPA process, and at an early stage involve the State Historic Preservation Office and any interested affected Tribes so that qualified historic and cultural resources are protected as appropriate without excessive delay in process. The Forest Service should provide direction encouraging contracting and otherwise partnering with state and local agencies and adjacent landowners and managers to complete relevant studies and reports and provide other data, information, technical and local expertise, and knowledge for NEPA and other environmental analysis. WUWC members are in many instances major, knowledgeable owners or managers of adjacent lands and resources. In conclusion, this rulemaking is an opportunity for the Forest Service to address on a meaningful scale our comments above and those of others who support cost-effective national forest management. The WUWC looks forward to continued dialogue and collaboration as the Forest Service continues the rulemaking process. We appreciate the opportunity to provide these comments. If you have any questions regarding our comments, please contact Desirée Patno, CEO & President of NAWRB, Desiree.Patno@www.nawrb.com, 949-559-9800. 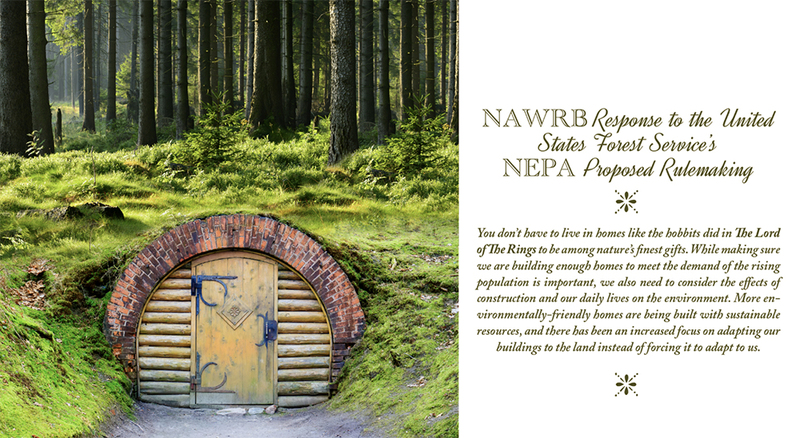 This entry was posted in Great Articles, NAWRB Magazine, News and tagged NEPA, US Forest Service.